If you want to connect multiple cameras and devices, you might want to setup your own Wifi infrastructure. We’ll show how PocketControl works in such environments. Learn more about Alexa Mini Wifi Modes and setting up a Wifi Access Point. If Wifi is not the solution for you (e.g. due to reach and reliability), you might want to connect the camera and the device running PocketControl using an Ethernet cable. We’ll show what’s needed for that. Connecting an iOS device to an Alexa Mini’s Wifi can disable the internet connection of your device – even if it has cellular connectivity. We’ll show how to circumvent this situation in order to be able to control the camera with PocketControl while at the same time accessing internet services like email through the cellular service of your phone. The Alexa Mini offers two Wifi modes: A “Host” and a “Client” mode. In the “Host” mode the camera itself acts as a Wifi hotspot, in the “Client” mode (also commonly called “Infrastructure” mode) the camera joins an existing Wifi hotspot or network. 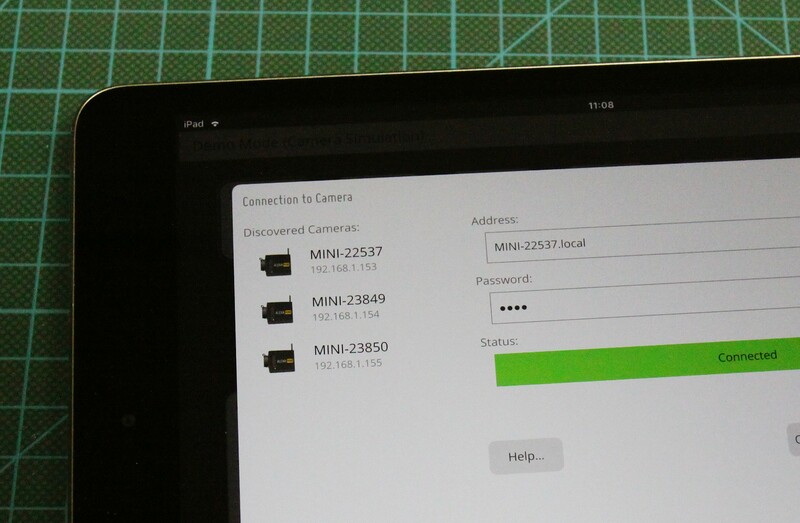 When joining an existing Wifi infrastructure with multiple cameras, PocketControl automatically detects all of them in the “Discovered Cameras” section. A Wifi access point (like e.g. 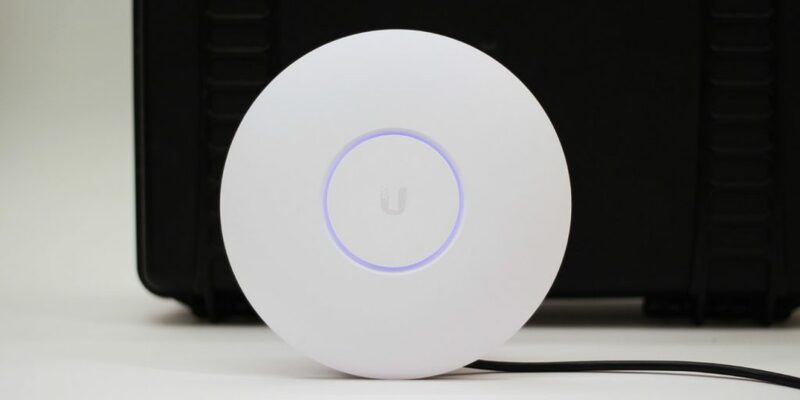 Ubiquity access points) can be used to setup a Wifi network infrastructure for the camera(s) and the iOS device(s). After the access point is set up and optionally integrated into your existing tethered network structure the camera can be connected to the Wifi via the “Client” Wifi mode. 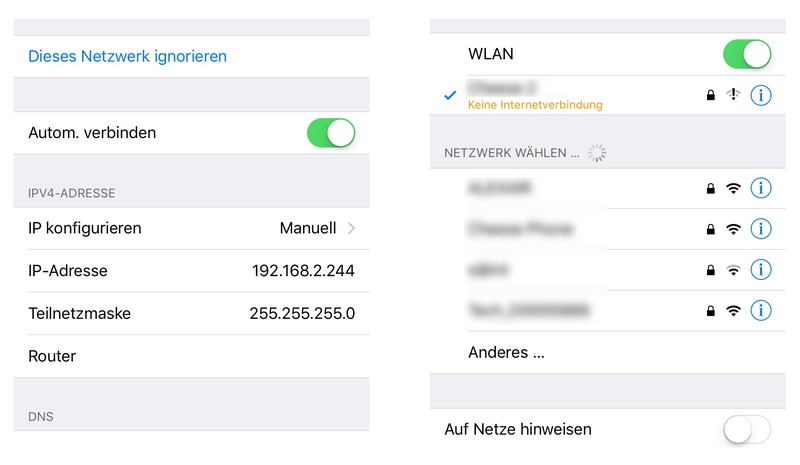 Also connect the iOS device to the same Wifi via the “Settings” app. Ubiquity offers an extended connection control browser interface that you can use to monitor your connections. 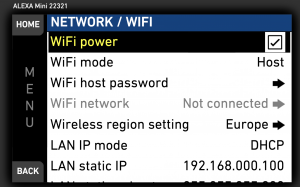 You can monitor your Wifi infrastructure (hotspots) and the joined devices. Beyond the Wifi connectivity, the Alexa Mini can also be connected with a special network cable ending in a standard RJ-45 connector to attach it to a network switch or similar. 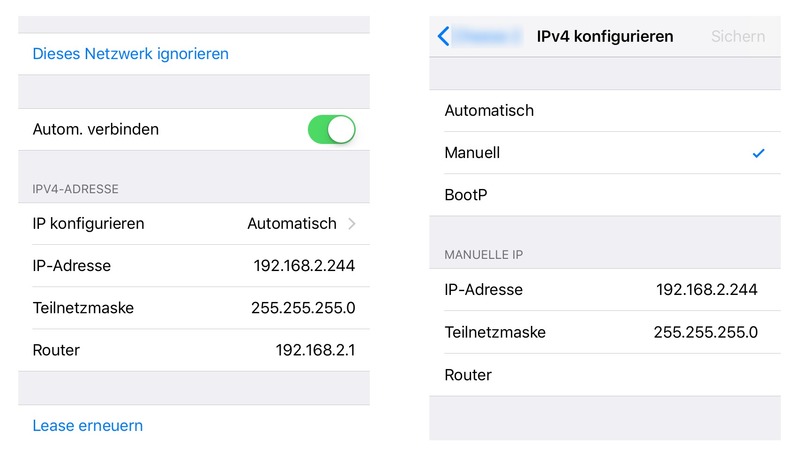 The iOS device running PocketControl can also be connected to your network via a tethered connection. Connect the iOS device via the Lightning to USB adapter and the USB cable to the USB Hub. The USB Hub has to be powered externally for the tethered connection to be working. Connect the USB to Ethernet adapter to the USB Hub. Connect the Ethernet adapter either directly with your camera or to a network switch for connecting to an existing network infrastructure. Connecting an iOS device to an Alexa Mini’s Wifi can disable the internet connection of your device – even if it has cellular connectivity. This happens because the iPhone assumes that the camera Wifi also provides internet access (same as for example with your Wifi at home). But as the Alexa Mini doesn’t have internet access itself, the routing of the iPhone’s internet traffic ends at the camera. In order to circumvent this situation you can change the network settings in your iPhone. With these changes you will be able to control the camera with PocketControl as well as accessing internet services like email through the cellular service of your phone. The root of the problem is that the Alexa Mini’s DHCP server that is providing IP addresses to your iPhone also tells the iPhone that the camera itself is a router to the internet (which it obviously isn’t). So we need to get rid of this router setting. To do so join the camera Wifi first and then go to the Wifi setting in iOS. The setting will be automatic (“Automatisch”), including a router address. Long tap on the IP address to copy it, and memorize the subnetmask (“Teilnetzmaske”). Then Tap on “Automatic” and switch to “Manual”. Now you should see the router field being emtpy. The Wifi in the toolbar should disappear, but in the Wifi overview you will still see that you are connected to the camera Wifi (there will even be a warning that the Wifi has no internet connection, which is exactly what we want). Now you can use PocketControl to control the camera, and at at the same time use the phone’s cellular service for accessing the internet.